Three generations of longterm tenants in San Francisco’s Mission District got some good news this week: they prevailed in court against the real estate speculator attempting to evict them under the Ellis Act. On May 28, 2015, Judge Ronald Quidachay of the San Francisco Superior Court heard oral argument on a motion to quash the unlawful detainer complaint of Danger Panda, LLC, against Nancy Launiu, Donn Launiu, and Olga Launiu. Judge Quidachay took the matter under submission, and subsequently ruled that Danger Panda, an LLC operated by Sam Hunt, had failed to comply with the Ellis Act because he did not provide David Launiu with a first-half statutory mitigation check as required by the Ellis-enacting provisions of the San Francisco Rent Ordinance. David Launiu lives at the building with his parents, Donn and Olga Launiu, and his grandmother Nancy Launiu. 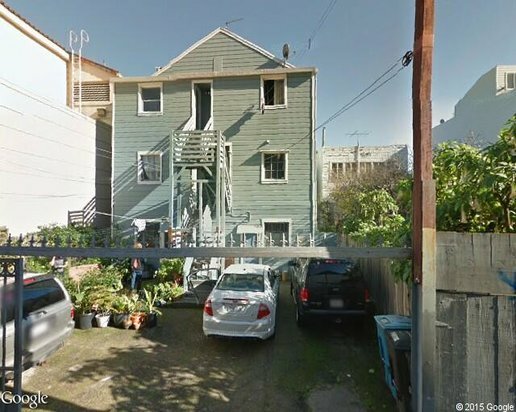 Nancy was born and raised in San Francisco, and the building at 306-308 Bartlett Street has been her familial home since 1971. Danger Panda LLC purchased the building at 306-308B Bartlett Street on January 28, 2014, and served all the tenants with eviction notices under the Ellis Act on March 26, 2015. Since that time one resident vacated a unit, and the other four units at the property are currently fighting their eviction under the Ellis Act in court. The tenants of the four other occupied units at the building also brought motions to quash the unlawful detainer complaints against them, but these motions were denied on May 27, 2014. The tenants plan to take up writs of mandate to challenge the rulings against them on their motions to quash. The Launiu family and the other tenants at the building are represented by Joseph Barber of the Tenderloin Housing Clinic. The speculator-owner, Danger Panda LLC was represented by Andrew Zacks of Zacks & Freedman. The Launiu’s court victory is the latest in a lengthening string of Ellis Act eviction cases won by Tenderloin Housing Clinic attorneys. This includes the April 2015 victory on behalf of 82-year old Alberto Lopez. Meanwhile, a new wave of Ellis Act evictions is sweeping Los Angeles. That city allows speculators to demolish rent-controlled apartment buildings following Ellis evictions, a strategy that could not happen in San Francisco. The rising tide of Ellis evictions in Southern California could broaden the political support needed in Sacramento next year or in 2017 for Ellis reform.